كوفيغراف هو خط عربي هندسي ذو سمات بصرية مميزة وقد تم تطويره من اجل المشايع الإبتكارية ذات الطابع العصري. هذا المشروع ذو مكانة خاصة لدي لكونه أول تجاربي في مجال التايبوغرافيا العربية. أعتبر خط كوفيغراف بمثابة الامتداد العصري للخط الكوفي الهندسي العريق. 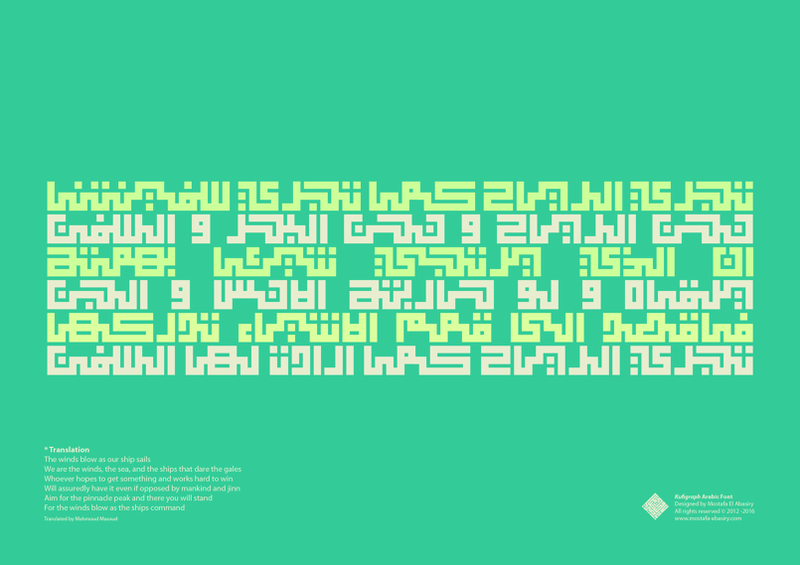 Square Kufic is a well known calligraphic style of Arabic Script. It was originated in the Middle East during the 13th Century. 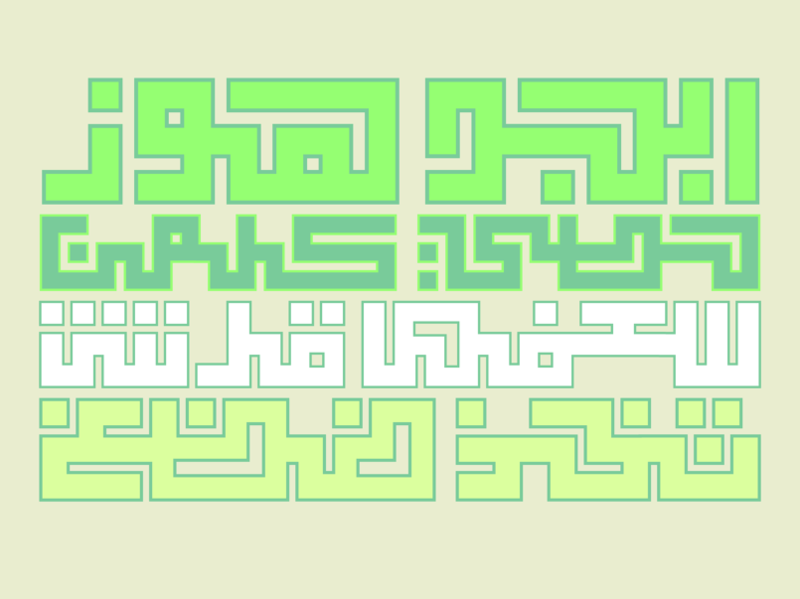 Back then it was considered a major addition to Arabic scripting due to its unique and proportionate letterform structure that was primarily used for decorating buildings. Some believe that it was derived from the architectural adaptations in Central Asia where artists and architects had a long tradition of applying patterns to buildings or even to coins in various square grids. 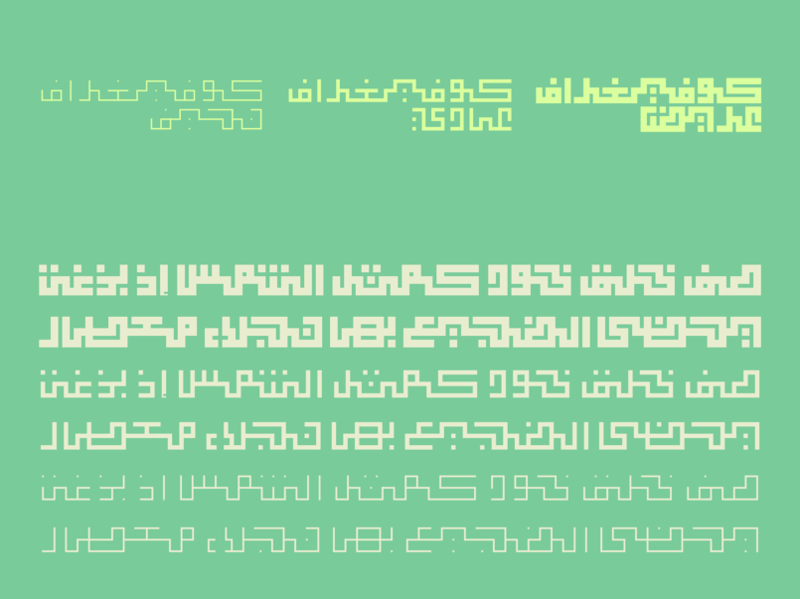 However, with this project I aim at creating a fresh adaptation of Square Kufic by capturing the key styling features into a digital typeface. 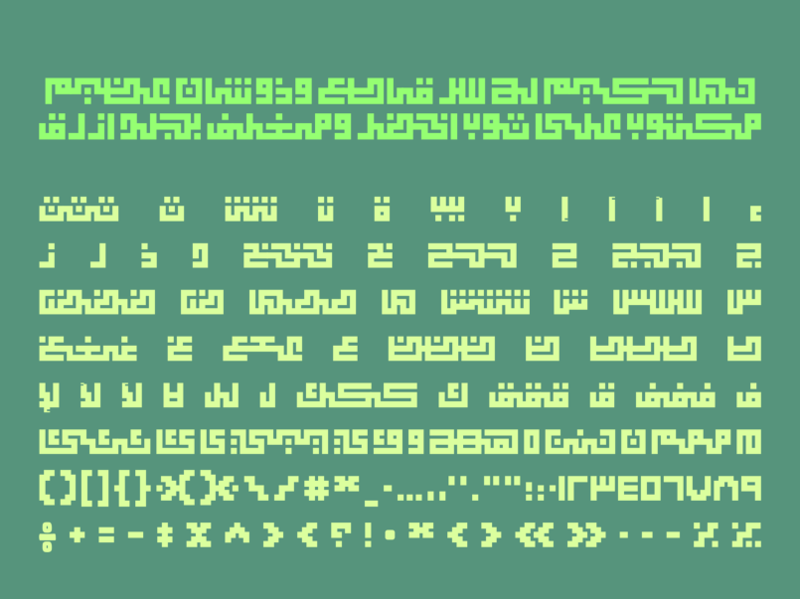 Kufigraph is an Arabic display font that I consider it a contemporary extension of Square Kufic style. 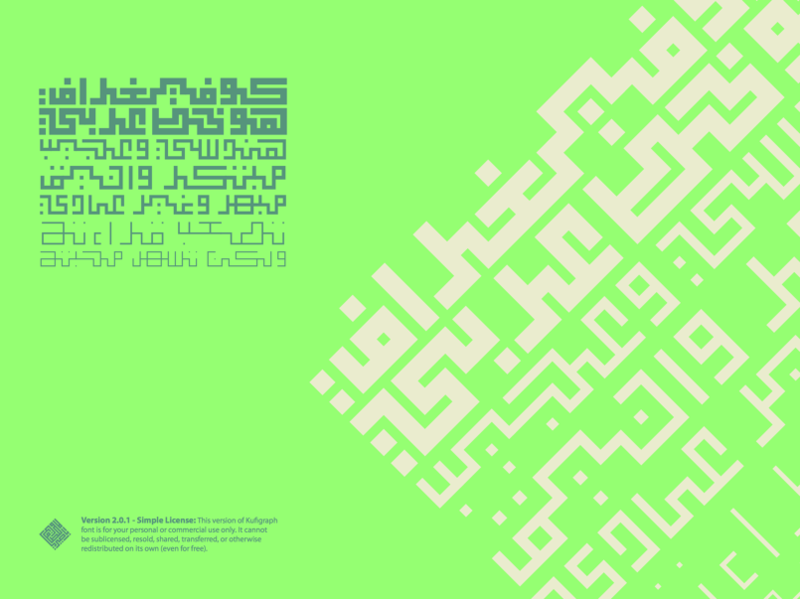 It is based on a very simplified geometric script that fuses the traditional style of Square Kufic with a modern, digital and robotic look. The baseline is centred between ascender and descender boundaries, developing an extraordinary structure. 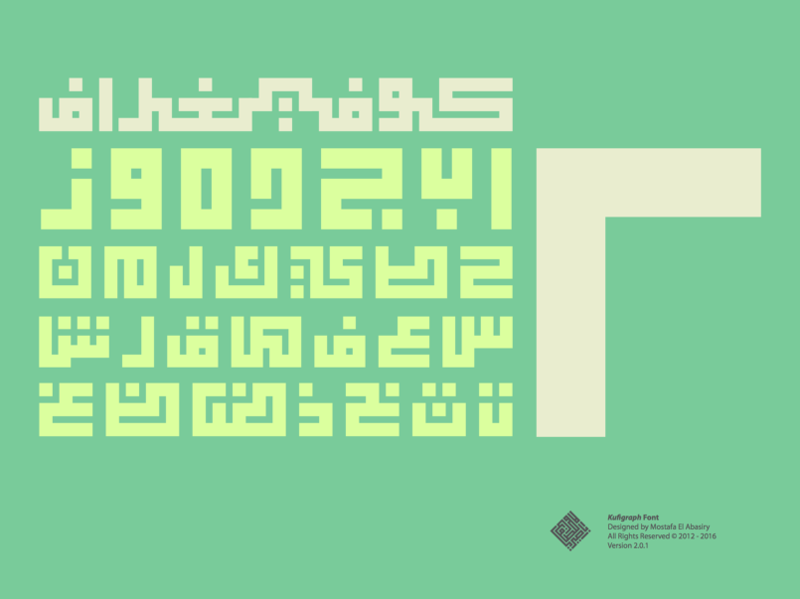 The anatomy is completely re-designed to meet the new structure, bringing an all new ornamental approach along with a unique typing experience to Arabic typography.